One of the greatest contributions of Indian Culture to the world community, is the philosophy of Yoga and its scientific practice to enhance the quality of life. Across India, Yoga masters from ancient time have proclaimed yoga as a way of life, a practical philosophy which takes us forward in the spiritual path, irrespective of the religious faith one practices. On the other hand today, all over the world millions of people are attracted to Yoga, because it is considered as "panacea" for modern day lifestyle diseases or afflictions. It is considered an authentic tool for health promotion and disease prevention besides performing role of complementary therapy. Mainstream medical institutions have been deploying yoga, to a large extent as "Health care technology". Yoga science is thousands of years old, originated in Indian philosophical system as a spiritual path, a methodology to achieve transcendence from the limitations of the ego and free oneself from suffering. Sage Patanjali has presented the basic tenets of yoga philosophy and practices, in the classical yoga text ie. Yoga Sutras. In this exposition of yoga philosophy, Patanjali clarifies that, the diseases and disturbances of mind are considered as an obstacle to the spiritual practice. The distinctive feature of this text is that it is devoid of reference to religion. It deals extensively with Mind as an instrument and its culture. Yoga is very ancient science. Most other disciplines of ancient India accepted/ respected Yoga and thus references to this knowledge come from various sources. Many minor upanisads like yogashikopanisad, prasnopanisad, also highlight the philosophical ideas. Yoga has been the guiding light for many sages, kings and common man to live their life to its optimum. The different traditions of practices were emerging in early classical period depending upon the adherence to the philosophical tenets one had faith in. However ,during post classical period the availability of practical aids to the yogic techniques can be traced to the popular texts like Gheranda samhita, Hatayoga pradipika, Siva Samhita etc. These group were termed as Nath panth or Goraksha panth. Yoga adhering to the vaidika tradition had texts like Yoga Yagnavalkya Smriti, Yoga Vasista, Yoga Rahasya etc. Some of the works belonging to medieval period highlight the therapeutic aspects of yoga practices. Thus, yoga slowly emerged as a health promotive practice to an ardent spiritual seeker. During these times, health was considered an asset that could not be compromised by those aiming for spiritual transformation or to know the truth about that which is non perishable and eternally blissful. They were not afflicted by stress or non communicable diseases. Over the centuries, yoga continued to be practiced, but was in marked decline during the British occupation. However, a modern renaissance of yoga started in the 1920s, in part tied to efforts to foster an indigenous Indian form of exercise for maintaining health and well-being. This was a time of growing Indian nationalism, when forms of exercise from foreign lands like bodybuilding and European styles of gymnastics were gaining in popularity among middle class Indians. The revival of interest in Yogic practices can be attributed to yoga masters of the last century - Swami Vivekananda, Swami Kuvalayananda, Sri Yogendra, Sri Tirumalai Krishnamacharya, Swami Sivananda and others. Each one of them significantly contributed to the current adaptation of this ancient philosophy and practice, to address many issues of modern life. These masters were responsible to call for a renewed spiritual awakening, kindling of scientific interest in yoga, application of individualized approach to yoga as a therapy or promoting the wellbeing of the community by establishing premier yoga centers across India. Tirumalai Krishnamacharya can be considered as a great master who popularized individualized yoga therapy practice and whatever form of yoga we see today be it Iyengar style, viniyoga approach or astanga yoga has emanated from him and the four of his students who took yoga across the world. They are Padma Vibhushan BKS Iyengar, Pattabhi jois, TKV Desikachar and Indra Devi. Much of the contemporary popularity of yoga can be attributed to the enormous scientific literature which has been compiled in the past 5 to 6 decades across the world. Indian scientists basically from disciplines of Sanskrit, Philosophy, Physiology, Pharmacology, Bio-chemistry, Neuroscience, Psychology, Management have contributed to the scientific literature on yoga. Vivekananda Yoga Kendra at Bangalore and Kaivalyadhama at Lonavla have taken a lead in documenting the scientific evidence on Yoga practices. 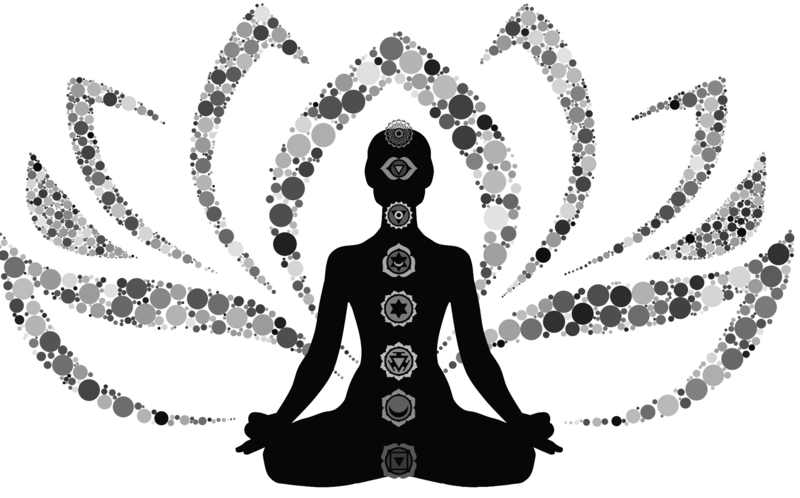 Present day Interest among health care professionals to adapt yoga as an add on or complementary health care practice to a large extent, can be attributed to the positive evidence that has been accumulating on the beneficial effects of yoga on host of psycho-physiological health issues. Now, yoga courses have entered into some of the mainstream medical colleges as a health care discipline. The increased scientific interest across disciplines in yoga, the ground work laid by modern spiritual yoga masters, increasing disenchantment with modern practices have made public to seek yoga not only as a health choice but also as a means of social harmony. The unanimous adoption of resolution by United Nations Organisation declaring June 21, International Yoga Day, has endorses this ancient science of life as heritage of humanity. The draft resolution proposed by India was endorsed by a record number of member states paving the way for celebrations amidst great fanfare throughout the world. While proclaiming the declaration, Mr. Ban Ki-moon, United Nations Secretary-General, observed, "the General Assembly has recognized the holistic benefits of this timeless practice and its inherent compatibility with the principles and values of the United Nations". The resolution reiterates, "the importance of individuals and populations making healthier choices and following lifestyle patterns that foster good health." This fortifies the fact that Yoga, is efficient in tackling non communicable diseases, is a healthy life style practice and is a holistic approach to health. It certainly provided a veritable impetus, invigorating the much needed fillip for this age old discipline. There were great promos in the multi modal media. Across the cross-section of society there was a participative mood with the event being showcased from structured practice sessions to arranging informative talks by gurus from various traditions of yoga. Down the line, history would very well term this period 'Resurgence Age of Yoga'. Build-up to the event proved to be an eye-opener of how a social well-being campaign could be carried effectively through our multi-faceted society be it rural or urban populace. One can say with great confidence that the undercurrent of national pride associated with the event was driving force for most people to be a part of the celebrations. The outreach was monumental in terms of volumes of response to the event. In New Delhi, 35,985 people attended the 35-minute yoga session on Rajpath last year, setting two new Guinness World Records for the largest yoga class at a single venue and also involving participants of 84 nationalities. The larger question is how to take forward this momentum. After all, one must consider it a starting point to indulge in wellness activity on a continuous basis. The primary objective of observing it as a special day is to practice yoga regularly. After all one of the societal ills is the increase of lifestyle diseases largely attributable to inactivity. In this context, the World Health Organization has also urged its member states to help their citizens reduce physical inactivity, which is among the top ten leading causes of death worldwide, and a key risk factor for non-communicable diseases, such as cardiovascular diseases, cancer and diabetes. Government's will to promote Yoga as community wellness endeavour has been an important development in recent times. In November, 2014 the central government formed Ministry of AYUSH (Ayurveda, Yoga & Naturopathy, Unani, Siddha and Homeopathy), by elevating erstwhile Department of AYUSH (which was functioning under Ministry of Health & Family Welfare), which oversees planning, promotion and coordination of yoga education, training, therapy and research. Union government has taken initiative to promote health wellness centers across the country including, the traditional wisdom of yoga. Many Yoga practitioners and yoga institutions have availed the government funds and collaborated in creating awareness of yoga practices and conducted workshops emphasizing therapeutic benefits. AYUSH has started four Advanced Centers for Yoga Therapy & Research to encourage established hospitals to work in the field of yoga therapy. In addition, AYUSH sponsors continuing medical education on yoga for physicians. The Indian Yoga Association, with the support of AYUSH, intends to implement national standards for yoga therapy and yoga education. Universities, Schools have also incorporated Yoga as a scientific discipline to be studied and practiced. These initiatives have now opened up a new set of skills and professional requirement in training and healing professions. Few decades ago the vocation of "Yoga Teacher" was not socially meritorious or economically lucrative, because the vocation had no social significance or esteem. However times have changed and attitudes to the profession have become more respectful. Today yoga is one among the myriad career options to youth, with a committed and qualified fresher fetching income around Rs 20,000 per month. A well experienced therapist and a dedicated practitioner can earn upto Rs.60,000 per month. Commercial prospects are also higher as could be seen from the prospects available in the field of Education and Sports. The public need for a personalized yoga trainer is high and many institutes have difficulty in meeting this demand. Young yoga teachers are in great demand to address the training needs at school and colleges. Similarly, the need for yoga therapists possessing generic skills and knowledgeable specialists are also needed to address the therapy demand. Yoga therapists have an opportunity to practise independently or work in an integrated manner along with ayurvedic, siddha, unani professionals or even mainstream medical practitioners across disciplines, depending upon one's aptitude and competence. One of the chief areas where yoga practitioners have a major professional role is research centers. Earlier, most yoga researchers were medical professionals with avid interest in yoga but nominal practice skills. This was particularly in view of the fact that most yoga teachers were not oriented towards scientific methods of documentation. Currently, this gap is being bridged as universities are churning out yoga professionals with exposure to research training, so that they can contribute to yoga research. One of the areas in yoga research is survey of many manuscripts on Yoga. According to a recent study conducted by Yoga Journal and Yoga Alliance, approximately 36.7 million Americans practice yoga and the estimated annual turnover of yoga industry is $16.8 billon including amount spent on classes, yoga clothing, equipment and accessories. Yoga expenditure increased by $6.1 billion since 2012. These trends are not only specific to USA, across globe people are adopting yoga as a life style for one or other reason. Even today, India is the destination for International students seeking knowledge from the roots who approach acclaimed yoga institutions where purity of tradition is maintained. Many centers across India are designated "Yoga Tourism" spots. Yoga is "anubhava Shastra" ie. experiential knowledge. As long as a practice is in place, the knowledge has its value and it is self evolving. Practices to be meaningful, have to necessarily encompass aspects like social attitudes (Yamas), Internal discipline (Niyamas), Pranayama (Breath regulation), Meditation (Dhyana) and a perspective of life. Embarking with an urge to popularize yoga, one cannot compromise on its spiritual focus and its position as a valuable philosophy. Yoga needs to be applied to suit the context of the person. The age, gender, mental ability, physical capacity, cultural background, other needs of the individual determine what and how yoga needs to be applied. Yoga is for individual, individual need not be fitted to yoga. Yoga being universal in its approach, respects the needs of the time and individual. The tools or practices are plenty, solutions are many, thus possibilities of yoga application are manifold.